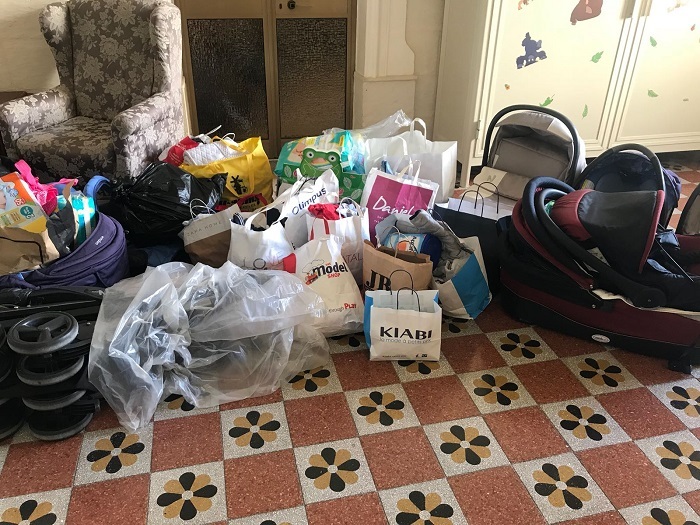 The generosity of the Maltese stood out once again, with many coming forward to offer baby items after reading an appeal by Sergeant Glen Carabott for some items to be provided for the baby abandoned in Bugibba on Friday. Sergeant Carabott took to social media to ask for baby items to be taken to Qawra Police Station for forwarding to the Ursulina nuns into whose care the baby, given the initial name Cristiano, has been entrusted. And yet again, the Maltese showed their generosity, so much so that a van had to be used to transport to the Sliema institute all the items handed in at the Police Station. Donated items included push chairs, car seats, baby clothes, nappies and powdered milk for babies. Baby Cristiano is being cared for by the nuns, together with his one-year-old brother, following the issuing of a care order for the two siblings. The baby was released from hospital yesterday, and is in a good state of health.